After more than a year in design and development, World of Disney reopened Friday in Disneyland’s Downtown Disney District, with the Walt Disney World version opening Saturday. 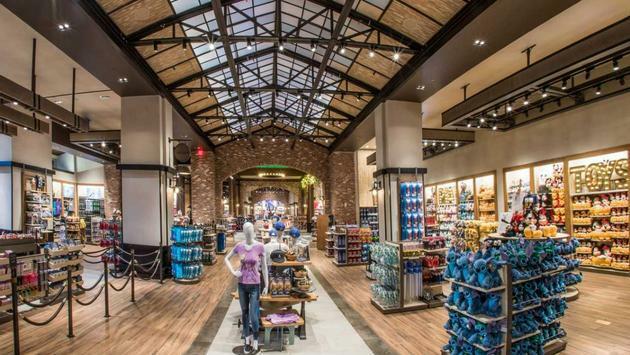 The World of Disney was completely overhauled to improve the customer experience, including displays, signage, lighting and more meant to help guests discover magical Disney storytelling wherever they look. The transformation started with the exterior of the retail stores, with new marquees and window displays. Once guests step inside, the loft-style atmosphere will provide vast visibility so visitors can fall in love with an item from across the room. The merchandise also serves as decorations in the new World of Disney, with areas of the stores changing regularly in order to showcase the newest and hottest offerings of the season. As if that wasn’t enough, the retail stores will feature displays inspired by the history of the Walt Disney Animation Studios and even the sales counters are inspired by the desks and furniture used by animators of generations past.